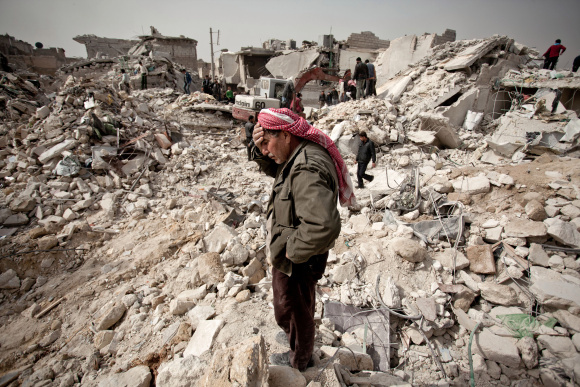 Calls for justice and accountability in Syria emerged as swiftly as the civil war itself. But after three years of brutal bloodshed, unsuccessful mediation and perhaps the worst ongoing humanitarian crisis in the 21st century, justice has remained evasive. The United Nations Security Council has been locked in a stalemate – not only on how to end the conflict, but how and when to pursue accountability for atrocities committed during the civil war. With the Obama administration throwing its support behind a draft Security Council resolution referring Syria to the International Criminal Court (ICC), many believe – and hope – that the deadlock on justice may soon be broken. Proponents of the court are undoubtedly excited about the prospects of an ICC intervention in Syria. Facing obvious pushback from the Security Council, many, including former ICC chief prosecutor Luis Moreno-Ocampo, had previously concoctedcreative approaches to getting the court involved. Now their hope is that the council will grant the court the ability to open an investigation into crimes committed in Syria. But the growing feasibility of a referral calls for sober reflection. Pursuing international criminal justice in Syria is a much more complex affair than it may first appear. At least three separate, albeit related, questions need to be answered: What does the change in U.S. policy mean with regards to a potential referral of Syria to the ICC? Is an ICC intervention into the ongoing conflict a good idea? And, if requested to do so, should the ICC intervene in Syria? First, does the U.S. administration’s volte-face really change anything? There are two competing opinions on the matter. First, some believe that the United States’ much delayed support for a referral of Syria to the ICC is simply political grandstanding. Knowing that Russia (and perhaps China) will veto any referral, the cost of throwing support behind the ICC is low, but the benefits are high: Being able to slam Russia as being on the wrong side of history – and justice. Conversely, the Obama administration’s change in position can be seen as a “conversation changer.” While it may not automatically translate into a referral, it is an obvious and necessary condition for eventually having Syria investigated by the ICC. There is no denying that there can be no backtracking on the part of the United States and that the discussion of an ICC referral has been reinvigorated. No one, however, is willing to suggest a referral is forthcoming – at least not any time soon. The most obvious barrier is Russia’s recalcitrance. However, there is also another reason why the ICC is unlikely to be asked to investigate Syria. There is widespread recognition – and growing evidence – that both the Syrian government and Syrian opposition forces have committed war crimes. In order for the Security Council to agree to a referral, there needs to be a consensus within the council on precisely whom the ICC should target for prosecution. Previous investigations demonstrate that the court tends to target only one side of the ongoing and active conflicts in which it intervenes (see here for reasoning). Without a consensus on the council as to who should be targeted, it is hard, if not impossible, to imagine a referral being achieved. This entry was posted in International Criminal Court (ICC), Syria, UN Security Council and tagged The Monkey Cage, Washington Post. Bookmark the permalink.